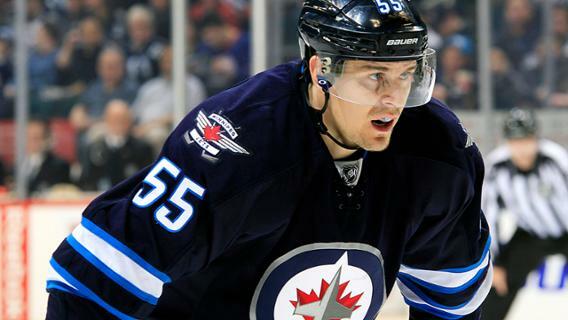 Mark Scheifele is a Winnipeg Jet long-term signing an eight year, $49 million contract. It's funny to be back writing this blog almost four years after it moved and became nothing. Why? Because four years ago, Evander Kane signed a six-year, $31.5 million contract and we were thinking he would be the next best thing. Well that all went south in a hurry. But not to worry, Mark Scheifele is the anti-Kane, if you will. Aside from his on-ice production which has increased incrementally over his first three full seasons in the NHL, Scheifele has shown Winnipeg he is committed to the club that drafted him and to its future success. From 34 points in 2013-2014 to his career year last year with 29 goals and 31 assists, Scheifele has embraced being the possible next face of the franchise. Can't we all see that he still has the same baby face he had the day he was drafted so long ago? Scheifele is proof that moving forward the Winnipeg Jets have the right model to be consistent, to grow, and to succeed. With Dustin Byfuglien, Blake Wheeler, and even Mathieu Perrault all locked up for three or more years, the core of this team is ready to win and to also mentor. Was Evander Kane willing to be that when signed that deal in the summer of 2012? Buffalo was hoping he'd change but that tiger isn't going to trade in his stripes for spots anytime soon. Kane showed what the Winnipeg Jets were not about and were not willing to put up with. Kevin Cheveldayoff - one of the shrewdest GM's in the game - made sure that he got something for the player no one wanted around. With players the Jets received in return - Brendan Lemieux and Joel Aarmia, not forgetting Drew Stafford and Tyler Myers - the Jets instantly became deeper and were built for the 2015 playoff run and for the future up front. Adding in Lemieux and Armia, the up and comers in the Jets organization are big, strong, fast, and are going to make teams that are on the top right now - the Chicago's, St. Louis', L.A.'s, San Jose's - look like child's play when those teams time to shine comes to an end. In the NHL, as in most sports today, most teams have a window in which they can win. It is usually in a range of 3-5 years (that's flexible through debate) and it can be widened by the shrewdness of the franchise's GM, as Stan Bowman has shown in Chicago. It's not easy to build a consistent winner. Take a look at Pittsburgh. The Penguins core still has the essentials - Sidney Crosby, Evgeni Malkin, Chris Kunitz, Kris Letang - but they needed to have an almost revolving door of veterans - Eric Fehr, Matt Cullen - and young players on entry level or low budget contracts - Bryan Rust, Tom Kuhnhackl, Conor Sheary - to be able to be competitive. To be able to take a championship team, flip them and put them back out with new parts adding to the core players is not easy. It seems that Chicago, LA, and now Pittsburgh have managed to figure it out lately, but other teams seem to be deceived into thinking their time will come and it never shows up. Mark Scheifele's first career goal in 2011-2012 versus Toronto. For the Jets, I used to say that they were following a Nashville Predator like approach to draft and develop. Well, now I hope they don't follow suit with a Weber for Subban like deal - especially involving Byfuglien. But the point is, the Jets cupboards are stocked full and this year seems to be the most interesting year as far as training camp competitiveness will go and how roster spots will be filled. It all comes back to Mark Scheifele's willingness to stay a Jet, to improve as a Jet, and the team is wise to sign him long term. He is mature, a leader, and his work ethic is second to none - something that rubs off on his teammates. He is the epitomy of everything Evander Kane was not. Kane never got a letter. Never was a leader. Never wanted much to do with being a Jet. Scheifele will get a letter. He's going to be this team's leader. He wants everything to do with being a Jet. If Scheifele isn't named captain this season, there will be a letter on that jersey. But we can wait. Let's not rush things. He's going to be here for another eight years.